I’ve heard a lot of people compare Trump to King Cyrus, however moving the US embassy to Jerusalem was not originally decreed by Trump, he just confirmed it with action by getting it done, perhaps more like King Darius than King Cyrus. If so, then perhaps these first two years of Trump are more like the first two years of King Darius (Haggai’s prophecy received in the second year AS WELL AS Zechariah’s prophecy of Chapters 1-6 which were given to him in the 2nd year of King Darius) and the next two years of Trump lead up to the 4th year of Trump (i.e. Zechariah’s prophecy of chapters 7-14 was given in the 4th year of King Darius). Is the circular re-fulfillment of Haggai and Zechariah’s prophecies all coming together in our day? Time will tell. 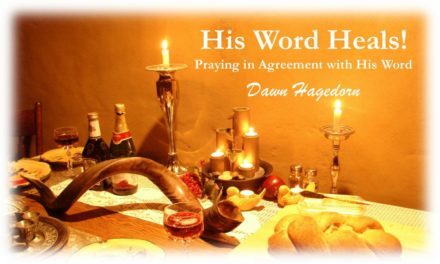 THIS WEEK we will take a little closer look at the 2nd year of King Darius in Haggai and Zechariah 1-6, if for no other reason it is a good excuse to read these powerful prophecies again together! Stay tuned for next week’s program as well and if you missed last week’s program, you can download it for free at our website (below). I AM CURRENTLY WORKING ON NEXT WEEK’S PROGRAM in which I attempt to put all of the time lines of Ezra, Haggai and Zechariah into chronological order and then compare them to today to see if there is indeed anything to our theory about Trump and King Darius. Stay tuned :-). Now you can also support this personal family ministry by purchasing PURE SHEMEN 100% UNDEFILED ESSENTIAL OILS THROUGH THE LINKS ON OUR WEBSITE www.HisWordHeals.com . Additionally you will receive 10% of your purchase price toward your next purchase! This is not a pyramid membership or multi-level marketing scheme so you will save money on most of the oils offered. This is also a small family operation where you will get personal service and top quality essential oils!